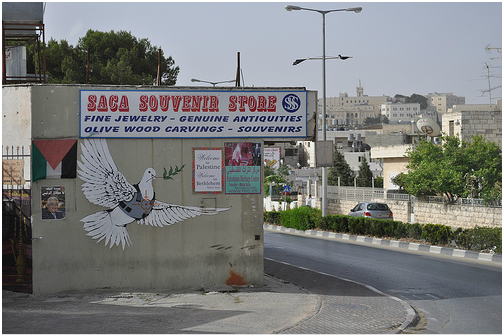 Below is an excerpt from the fifth trip report of the Interfaith Peace-Builders (IFPB) delegation to Palestine/Israel. It was written by Lissie Perkal. I came on this trip really, to see the bad stuff. I came because I couldn’t comprehend what a 25ft cement separation wall would look like. I wanted to see the petty apartheid and hear about the effects of the grand apartheid. Essentially, I came to Palestine to see the evil. The first three days (roughly nine meetings) I cried in almost every meeting. There was something in every meeting that hit a nerve and made me cry. I was so overwhelmed by the stories of pain and suffering or I found the speaker’s resistance to be so inspiring that it moved me to tears. About a week into the trip an older Palestinian woman who was currently fighting to keep her home from the Israeli government and Israeli settlers responded to my questions perfectly. “We don’t want your sympathy, we have enough of that. We want you to act and to talk to your government!” (Referring of course to the military aid we give to Israel). Now though, after almost two weeks here, I don’t have the need to cry. Not to say that I don’t find the stories and the facts incredibly moving, but now I know about sumood, tears are no longer my first response. Sumood is an Arabic word that means “steadfastness.” It is so easy to see this “I will not budge” attitude in every Palestinian activist we’ve talked to. I find it so inspiring and their steadfastness empowers me to be strong and proactive in my solidarity with them. I came to see the ugly but what I’m coming away with is the strength and the beauty of the Palestinian resistance movement.